How often have you put on makeup—whether your daily look or something for a special night out—only to look at pictures later and see someone who bears only a passing resemblance to you? The reason this happens goes beyond just the camera taking a three-dimensional figure and creating a two-dimensional image, though that is part of it. The lighting wherever you are and camera’s flash will also have a big impact on how your makeup translates to photos. The light will bounce off the various colors and textures on your skin differently, which is why a photo can make your face look more or less dimensionally developed. 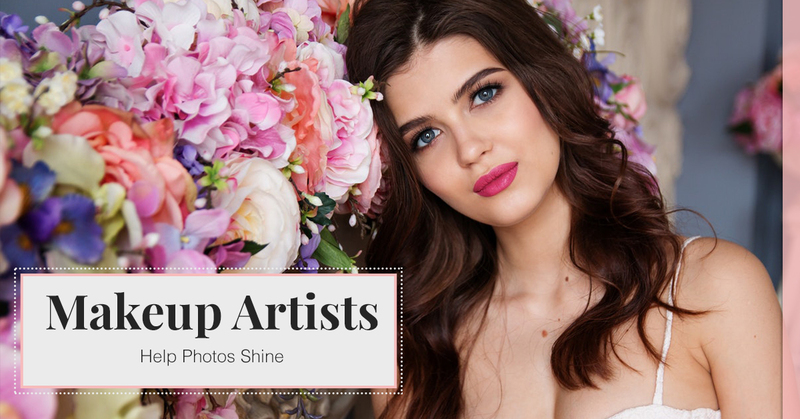 If you know you have a photo-heavy event coming up, a session with a professional makeup artist can make all the difference between a flattering photo and a flat face. With the range of flash and lens options available for cameras and the availability of photo editing software like Photoshop, it’s easy to wonder why you need makeup at all, let alone special makeup for your event. After all, the photographers can make you look your best, right? Unfortunately, this isn’t always the case. Even with the best editing software, photographers will only do so much to help your photographs look perfect. After all, they are more concerned with getting good shots off the bat, rather than fixing things in post-processing. The more well made-up you are, the better your photos are likely to come out, because the most professional of photographers will only spend so much time on retouching. Someone interacting with you in real life is going to see you three-dimensionally. As you move, the light around you will hit the planes and contours of your face differently, helping build a well-defined image of your face shape. Photos don’t offer this same benefit. Think about a photograph of a mountain; there are valleys and peaks, and the light hits each point differently. Makeup that isn’t applied with the camera in mind is more likely to reduce the contrast, to the point that your nose can blend into your face and your features can look more flat and broad, rather than distinct and well-defined. Photography makeup is there to help your features pop and give your face more shape, so you don’t go flat on film. Why Choose a Professional Makeup Artist? More often than not, you will need more makeup than you’d wear on a regular day to help your features pop for the camera. However, it’s not like stage makeup, where actors over-exaggerate features and cake on makeup so it’s more visible from further away. Makeup specifically for photography purposes is going to need to be more than you would usually do, but that doesn’t mean slathering on extra-thick layers of foundation and concealer. Makeup for photography is a more delicate balance of exaggerating your features, but doing so in a natural, soft manner so you don’t end up looking like a circus performer. Professional makeup artists can help enhance your features in a few ways that will be subtle enough to look natural, but help your features pop in a natural manner. For example, contouring is one of the best ways to give your face shape on film, by giving your features a boost with purposeful highlighting and subtle shading. The camera’s flash will pick up on the shimmer and matte contrasts to give your face more dimension no matter which angle the camera is capturing. Make sure your features pop the right way for the camera. 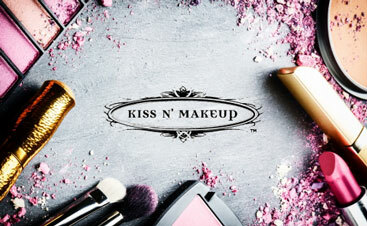 Whether you’re looking for professional makeup for a photoshoot or a special event, the team at Kiss N’ Makeup here in Austin can help! Call us today to get started!